When Brent and I lived in California I baked a lasagna that turned out to be a total fail. 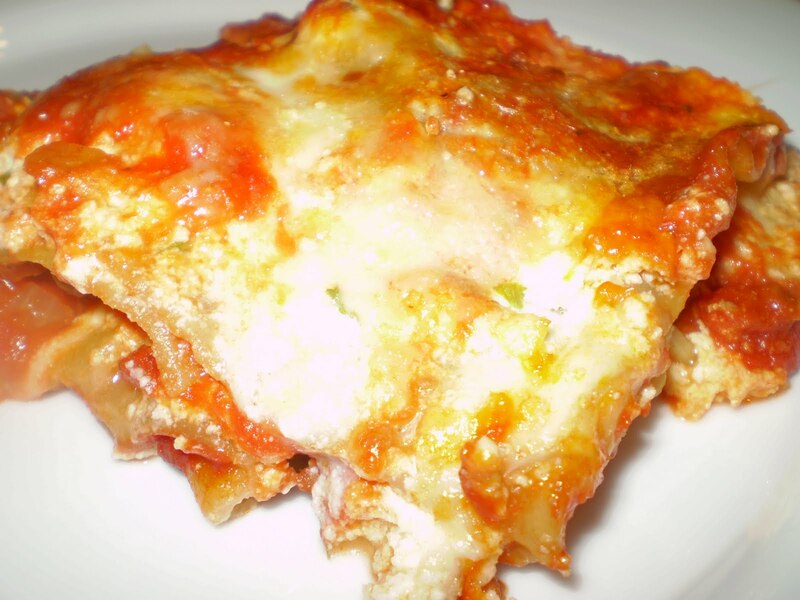 It was dry, lacked flavor, and the lasagna sheets burnt to a crisp around the edges. Although spaghetti will always be my favorite food, lasagna ranks second. I’ve always had to satisfy my cravings when eating out because I’ve been too intimidated to try making it at home after my first attempt. With a ten mile trail race to carbo-load for this weekend, I thought this would be the perfect opportunity to face my fear, and bake a blog-worthy lasagna. This Ina Garten recipe has a beautiful blend of cheeses, and slight kick from the hot turkey sausage. 2. Heat the olive oil in a large skillet. Add the onion and cook for 5 minutes over medium-low heat. Add the garlic and cook for 1 more minute. Add the sausage and cook over medium-low heat, breaking it up into pieces until no longer pink. Add the tomatoes, tomato paste, 2 tablespoons of the parsley, the basil, 1 1/2 teaspoons salt, and 1/2 teaspoon pepper. Simmer, uncovered, over medium-low heat, for 15 to 20 minutes, until thickened. 3. Meanwhile, fill a large bowl with the hot tap water. Add the lasagna sheets and allow them to sit in the water for 20 minutes. Drain. 4. In a bowl, combine the ricotta, goat cheese, 1 cup of Parmigiano-Reggiano, the egg, the remaining 2 tablespoons of parsley, 1/2 teaspoon salt, 1/4 teaspoon pepper and a sprinkle of red pepper flakes . Set aside. 5. Transfer 1/3 of the sauce into a 9 by 12 by 2-inch rectangular baking dish, spreading the sauce over the bottom of the dish. Then add half the pasta, half the mozzarella, half the ricotta, and one third of the sauce. Add the rest of the pasta, mozzarella, ricotta, and top with the remaining sauce. Sprinkle with 1/4 cup of Parmigiano-Reggiano. Bake for 30 minutes, until the sauce is bubbling. Serves 10. Yes, it is a lot of cheese. This recipe is more for a special occasion.